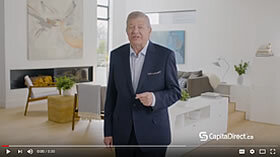 Watch our latest Capital Direct TV Ad! We've built our business by listening to our customers. We've learned that the reasons and ways our customers use their home equity loans are varied - sometimes simple, sometimes complex. We've helped thousands of Canadians with similar expectations achieve happy results. 4 Minute Equity Loan Application and one of our lending specialists will contact you within 48 hours.